This kind of concert fan story is just crazy. And completely disturbing. But we shall begin to explore it to see what we can learn and discover about the concert fan species. 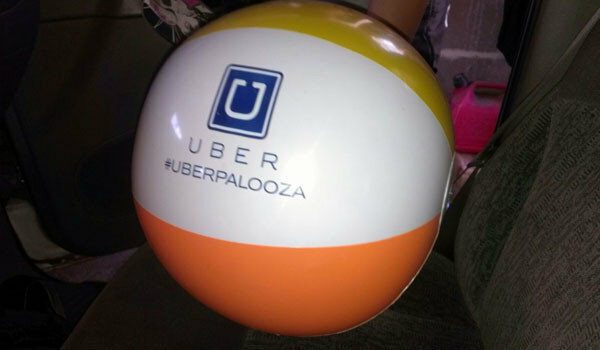 Michelle Fiore was enjoying an evening out with her 11-year-old daughter after Lollapalooza when a man confronted them, demanded the girl’s souvenir beach ball and punched the child as he tried to grab it, police and the woman say. Yep, you read that right. The girl was punched for a beach ball. Couple things come to mind when I read this story, because, as we know, concert fans are complex emotional creatures. First, I wondered what the hell was Conrad and his partner in crime thinking? Why do such a thing just to get a beach ball? Sure, there was alcohol involved, but I wonder…are we witnessing a devolution of the concert fan species? Are concert fans stooping to new levels of nastiness? Did Conrad have such a bad Lollapalooza experience that he needed to take it out on poor Michelle? And what about Michelle? I know moments like these can really traumatize a person. And besides getting punched in the stomach, the incident happened right after the show so it was a terrible thing to have happen after such an amazing experience like Lolla. I sure hope that this wasn’t Michelle’s first concert experience because that would be a shame to have such a terrible moment associated with what was probably a great live music experience for her. This story also got me thinking about a few of our previous live music experiments that focused on several of the topics that are swirling underneath the surface of this tragically ridiculous beach ball event. Check ’em out and let us know what you think and we’ll include your thoughts and feedback as we continue our exploration on a future episode of Live Fix Radio. Photo credit via Chicago Tribune.